Tis the season for gifting! Whether you're looking for skin care, or something else entirely, we have the perfect gifts for him and her. Throw stereotypical “gifts for him” out the door, please, and get the man in your life some skin care! Our Bundle for Him features two of our top products that are popular with men, the Citrus Mint Cleanser and Herbal Facial Oil for Normal and Combination Skin. Expertly curated, incredibly fresh, and sustainably grown whole bean coffee delivered straight to your doorstep. JavaPresse‘s subscription service is the perfect gift for the coffee addict in your life, that just keeps giving. 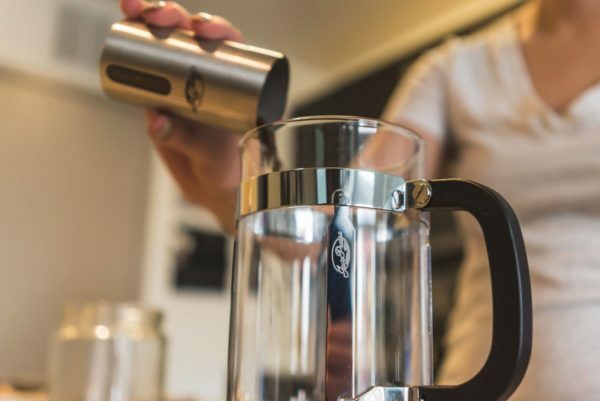 If you sign up today here, you'll get a free Burr Coffee Grinder included in your first shipment. Not to mention, if you order 6 shipments you can get 10% off, and if you order 12 shipments, you can get 15% off! The Rosemary Peppermint Body Wash is one of those perfect gifts that people actually use. Cleanse and energize your skin with this aloe vera-based, herb-infused body wash.
A pH-balanced cleanser, it contains rosemary and essential oil of peppermint—an ideal gender neutral scent that works for anyone—combined to leave your skin feeling cool, refreshed and uplifted. Whether you're shopping for the ultra-stressed person who can't take a break, or the chiller in your life who lives for taking breaks, Ojai Energetics Full Spectrum Hemp Elixir makes a great gift. Aside from fast acting CBD, its also loaded with some of natures most powerful super foods like moringa, and acerola cherry. Their products are fast acting, ultra calming, and sustainably farmed. Plus, if you shop here, Ojai Energetics has a special offer for friends of Annmarie Skin Care: free shipping on every order, plus a free tube of CBD Pain Gel ($47) if you order 3 bottles or more. Winter means cold, cold means dry, and dry means chapped lips. Enter our Antioxidant Lip Balm. This creamy, all-natural balm moisturizes with organic cocoa butter, while antioxidant-rich, omega-heavy fruit oils of buriti and sea buckthorn fight free radicals. The perfect antidote to winter dryness. Our Basics Bundle includes everything you need to get your skin routine on track—great for someone new to skin care, or looking to overhaul their current routine. The Aloe Herb Cleanser, Anti-Aging Serum, and Herbal Facial Oil for Normal and Combination Skin work harmoniously as the perfect routine to cleanse, balance, and prep your skin for the day. The result? Firmer, soft skin that is beautifully radiant. A great gift for someone new to skin care, looking to make the switch to clean, natural products, or restocking their bathroom shelves. These pieces are made to last—both in that they are made with high quality materials and in that the designs are timeless. 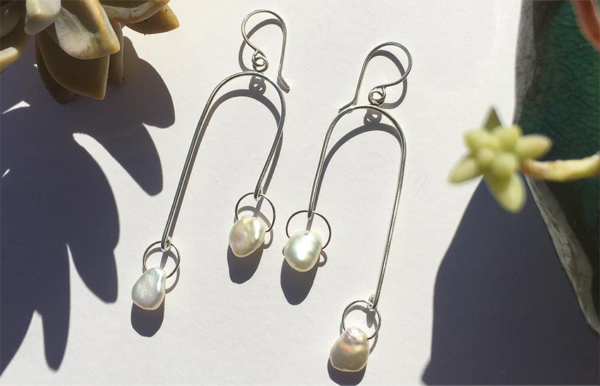 She makes all of her jewelry by hand and specializes in unique pieces, making these an absolutely beautiful gift. Our Bestsellers Bundle features three of our top products—the Aloe Herb Cleanser, Kaolin Micro Exfoliant, and Anti Aging Facial Oil. This trio of luxurious, herb-infused formulas help to soften and rejuvenate the skin, while delivering complex nutrients to moisturize, protect and fortify all skin types, sensitive or otherwise. These powerhouse products work synergistically to cleanse, renew and deeply nourish the skin. Perfect for the skin care lover in your life or someone looking to make the switch to natural products. Our newest face mask, the Illuminating Pearl Mask, is like a spa day in a jar. This luxurious mask restores balance and harmony while creating the perfect beautifying ritual. Honey delivers complex nutrients and hydrating properties to visibly improve tone and radiance. Turmeric's bioactive compounds leave your skin feeling calm, making this mask ideal for sensitivities. Skin brightening pearl powder enhanced with uva ursi and licorice transforms your complexion to have an everlasting glow. Perfect for the busy person in your life who deserves to treat themselves! The Neroli Toning Mist is an all-time favorite around here, and its no surprise to us. Light, sweet, and hydrating, this delicate aloe vera infusion softens and balances the skin's appearance. Use throughout the day to instantly feel hydrated and refreshed. The best part? The sweet smell of neroli blossoms smells like summer in a spray bottle. We're obsessed! We featured Miriam's Earthen Cookware on our We Heart column last year and it was one of our most popular features ever! Miriam's Earthen Cookware features a collection of ethically crafter, pure clay cookware that contains no additives. These pots keep your food pure and free of the chemical dangers found in teflon and plastic coated pots. They also trap in nutrients at a higher rate and keep your food warmer, longer! These pots are an ideal gift for the chef in your life. Check them out here. Our Anti-Aging Eye Cream is one of our most popular products, and a luxurious treat. The thick, buttery texture of the eye cream soothes the skin while reducing the appearance of fine lines and wrinkles. Ingredients like green tea, cucumber extract, and goji berries work in harmony to ease puffiness and restore your glow. 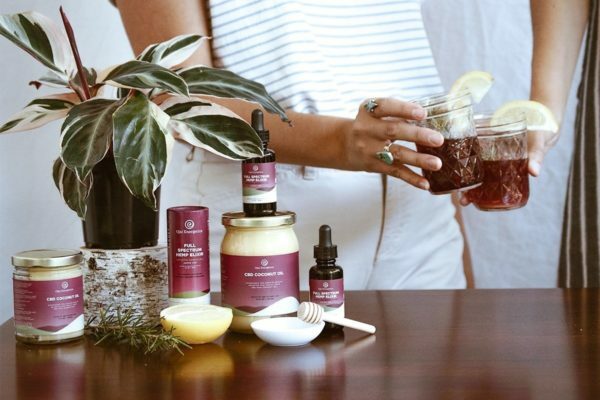 Shopping for a honey lover, a tea addict, or a natural remedies guru? 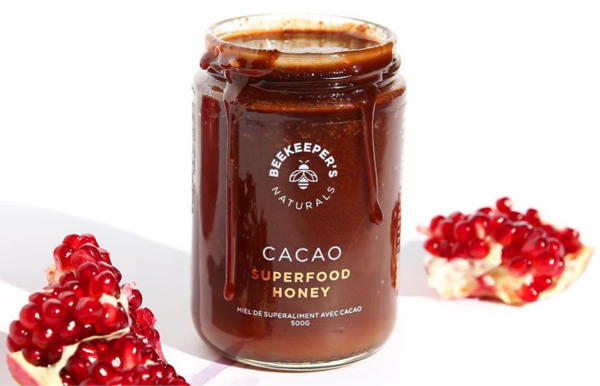 Get 10% all orders from Beekeepers Naturals with coupon code ASCLOVE10!